Colorful Dots, LLC offers a wide range of discounts for our clients. We encourage you to take advantage of our exclusive discount pricing for Veteran, Minority, Emerging Tech, or Woman Owned Business. You may apply one discount code when completing the proposal form. 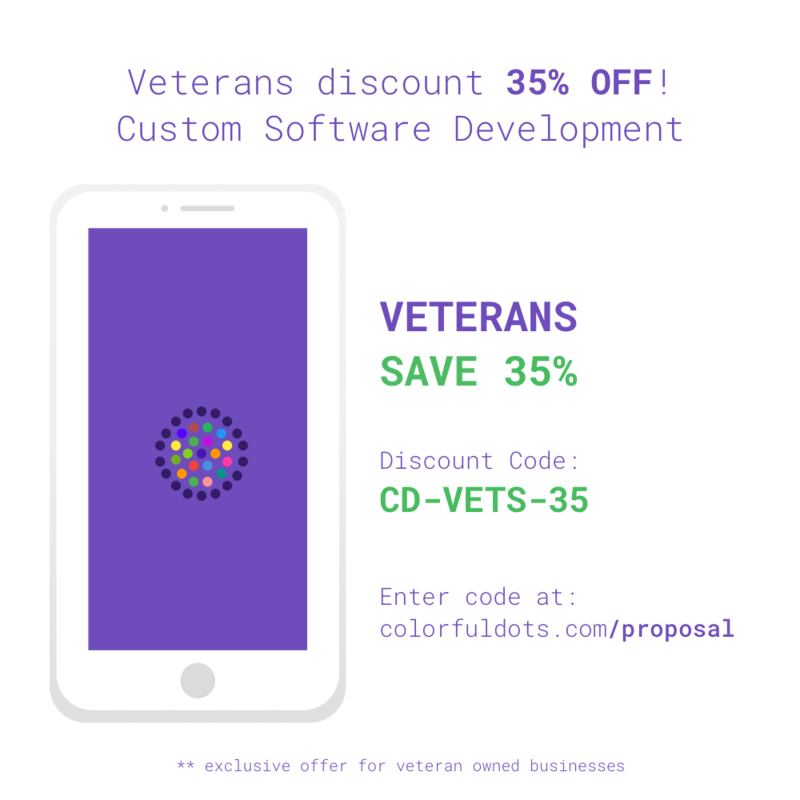 Colorful Dots, LLC honors and supports our American veterans by offering a 35% discount off our Custom Software Development Services. Enter code CD-VETS-35 to save 35% on custom software development services. 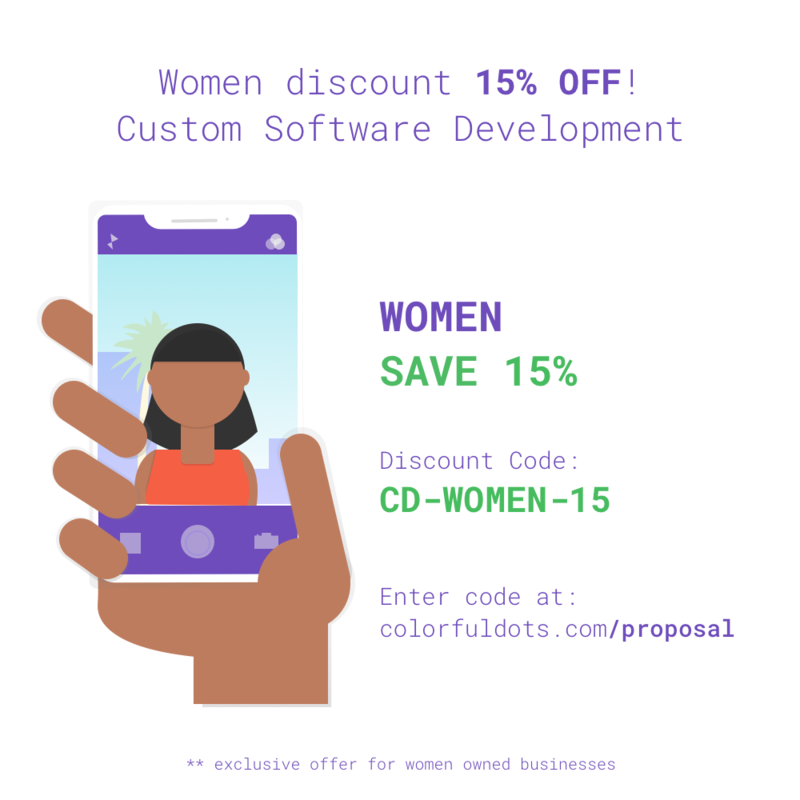 Colorful Dots, LLC supports our women owned businesses by offering a 15% discount off our Custom Software Development Services. Enter code CD-WOMEN-15 to save 15% on custom software development services. Colorful Dots, LLC supports our minority owned businesses by offering a 15% discount off our Custom Software Development Services. Enter code CD-MINORITY-15 to save 15% on custom software development services. 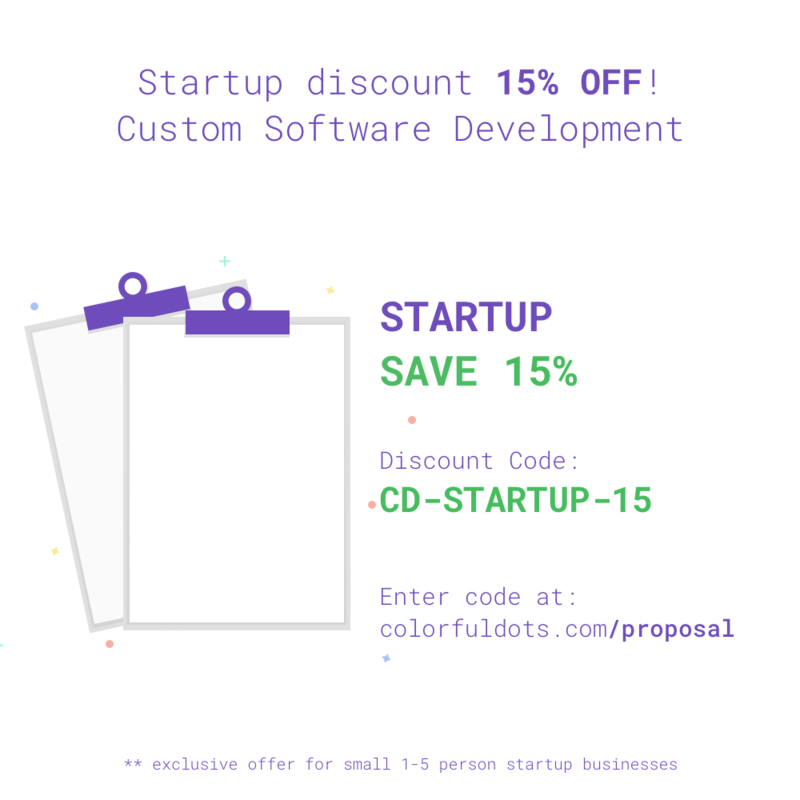 Colorful Dots, LLC supports the startup community by offering a 15% discount off our Custom Software Development Services. Enter code CD-STARTUP-15 to save 15% on custom software development services. Colorful Dots, LLC supports our emerging technology businesses by offering a 10% discount off our Custom Software Development Services. 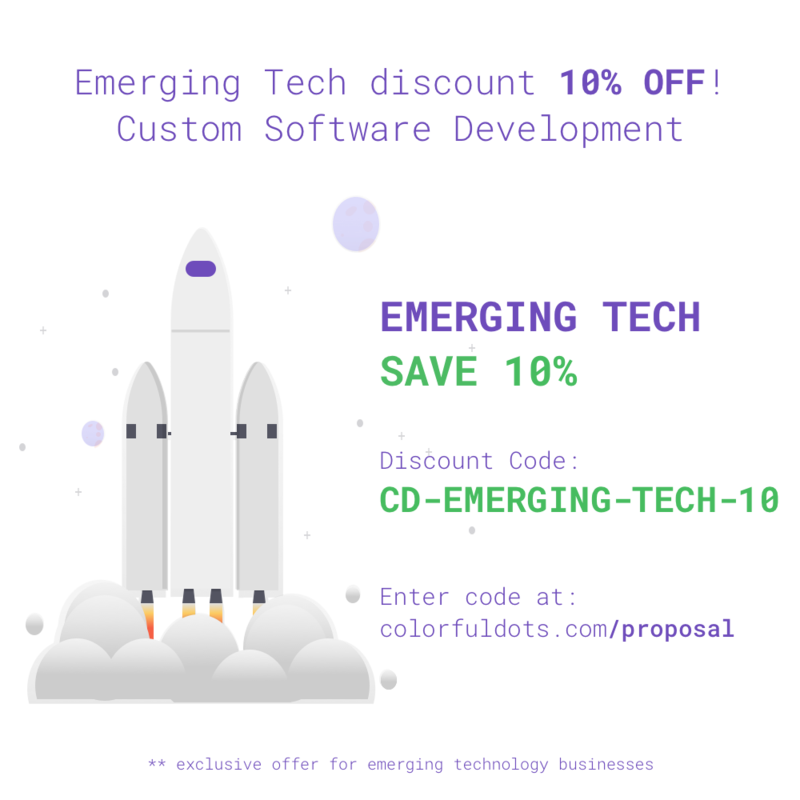 Enter code CD-EMERGING-TECH-10 to save 10% on custom software development services.